The history of Billy Corgan is nothing short of complicated. Recently he has been working on a new album Ogilala. It’s set to be released on October 13th through BGM. With less than a month away until the full studio album is released, Corgan is hyping it up with some pretty interesting announcements. 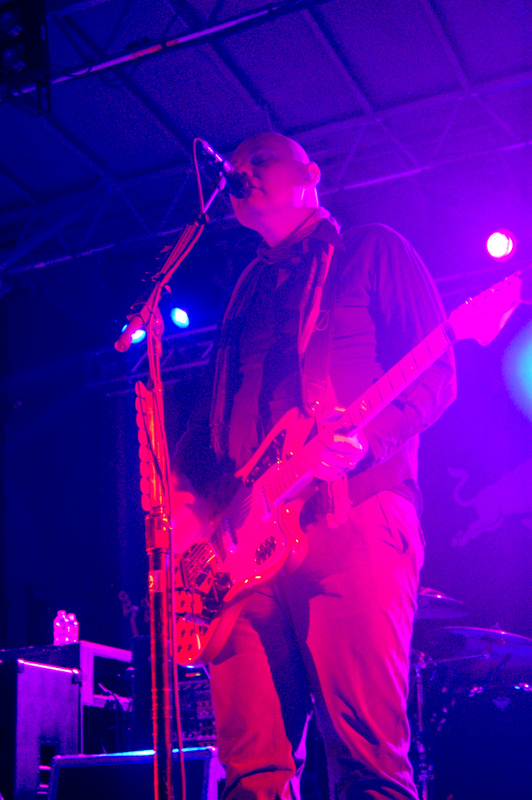 In an interview, Corgan also announced that that one of his former bandmates from the Smashing Pumpkins will be playing guitar on his new solo album. James Iha will be playing guitar in the song “The Processional” and another that will likely be a B-side song. The last time they collaborated on an album together, they were working on Machina II/The Friends & Enemies of Modern Music. They caught up last year when they were reunited for the first time in over a decade last March. That’s where Corgan performed a new never-before-seen song backstage for a VIP set. He also performed “Sweet Sweet” for the first time in 24 years and put the video on Facebook Live. And since the announcement of his new album, he has been performing one live song every day. In addition to James Iha’s appearance on his new album he also announced that the album’s first song called “Zowie,” is a tribute to David Bowie. The news broke that Corgan was working on new music during his “50 by 50” project that took him around the country as he wrote music and filmed everything along the way. That adventure was broken down into three different projects, one was the filming expiriment where he would play music as he went along, while posting them on Youtube in hopes of feedback. The second part was an album of about 10 cover songs that he wanted to perform of The Smashing Pumpkins’ songs. Then the last part of the project was actually the beginning of a new project. That’s where he announced that he was working on a new studio album. The month-long project and his trip around the U.S. was in honor of his 50th birthday. Some may also be wondering why he chose to release the album under his full name instead of his widely-known nickname. He said that Billy is now 50 years old and that was the guy in the band. Now he feels like he has turned into a different person, transforming himself and creating a new brand for his new music. Rick Rubin is producing Ogilala accompanied by Pillbox, a short film written and co-directed by Corgan himself.